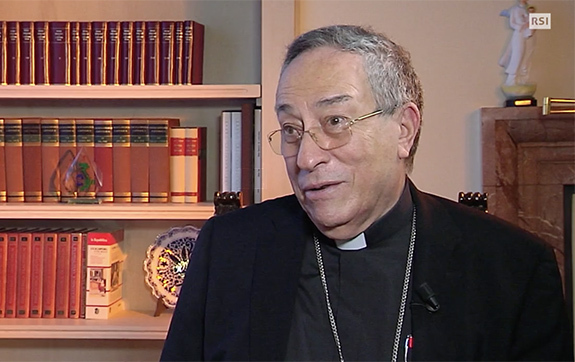 Recent remarks by Cardinal Óscar Rodríguez Maradiaga have been making some waves, and for good reason—even though there isn’t much good or reasonable about them. Interviewed on March 25th by RSI—a Swiss public broadcasting organization broadcasting programs in Italian for Switzerland—the Honduran prelate, well-known to be part of Pope Francis’ inner circle and a key advisor since the start of this pontificate, made several pointed remarks about the “Four Cardinals” who had submitted a dubia to Francis last fall. 1) It is revealing, to put it mildly, how often those who criticize the four cardinals—Raymond Burke, Carlo Caffarra, Walter Brandmüller and Joachim Meisner—do so in such a personal, rude manner. This is to be expected of course in the woolly thickets of blogs and personal sites, but this is often the case coming from high-ranking prelates and others who are close to Pope Francis. That said, they may simply be emulating the Holy Father himself, who has a, well, colorful way of addressing those he disagrees with or thinks need to be put in their place. To say, as Cardinal Maradiaga does, that Cardinals Burke, Caffarra, Brandmüller and Meisner, have not actually read the controversial Apostolic Exhortation is the sort of low, embarrassing pot shot best suited for teenagers. That he says with such obvious disdain is bothersome, even scandalous. 2) It is a further example of how some of those close to Francis, and even the Holy Father himself, refuse to seriously address pressing, thoughtful, cogent, and important questions regarding marriage, morality, the sacraments, and a number of related matters. Put bluntly, it reveals either a sad superficiality or a dismissive disdain. Neither possibility engenders much trust or peace of mind. 3) The sorry attempt to change the subject by referring to the manufacturing of weapons (a popular theme with Francis, who in June 2015 denounced those who manufacture weapons and then criticized the Allies for not bombing trains during World War II) and the use of the tired—and rather ludicrous—descriptive “pharisaism” not only reveals disdain, but a consistent strategy: to isolate, label, and destroy. The focus (shrewdly, from that perspective) is on the alleged, if vague, faults of critics, who are routinely dismissed as pharisaical, rigid, dogmatic, and so forth. 4) If the four Cardinals are wrong, as Cardinal Maradiaga states, then simply show it. It’s starting to remind me of the kid in junior high who claims to have a football signed by Terry Bradshaw but never shows it to anyone because it’s in storage, it got lost, and so forth. But he keeps bragging about it. At some point you realize the football doesn’t exist. 5) The appeal to the Holy Spirit—also used in equally vague and sloppy ways by Cardinal Farrell back in October 2016—is a red herring; it is meant to suggest that nearly everything the Holy Father says and does is directly inspired by the Holy Spirit. In fact, Cardinal Farrell stated: “Do we believe that he didn’t inspire our Holy Father Pope Francis in writing this document?” In fact, speaking with some needed precision, papal and conciliar texts are not “inspired” by the Holy Spirit; rather, the Holy Spirit protects the Magisterium from formally teaching error in matters of faith and morals. The language of “inspiration”, strictly speaking, is almost always (if not always) confined to the deposit of faith; that is, divine revelation as transmitted through Sacred Tradition and Sacred Scripture. Which is why the fathers at Vatican II noted, in Dei Verbum, that “we now await no further new public revelation before the glorious manifestation of our Lord Jesus Christ” (DV, 4). Insinuating that the Church can change teachings simply because Pope A or Pope B decides he wishes to is problematic, to say the least; this is especially the case when the matter at hand has to do with the very nature of the sacraments, the proper role of conscience, and the life of grace (as I’ve discussed elsewhere). 6) Who is the “boss” of doctrine? Put more crudely, who tells doctrine what to do? Or what to be? 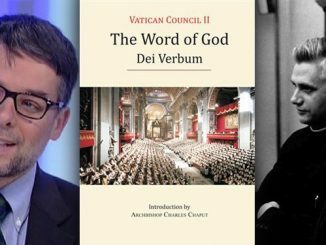 The Catechism, quoting Dei Verbum, states: “Yet this Magisterium is not superior to the Word of God, but is its servant. It teaches only what has been handed on to it. At the divine command and with the help of the Holy Spirit, it listens to this devotedly, guards it with dedication and expounds it faithfully. All that it proposes for belief as being divinely revealed is drawn from this single deposit of faith.” (CCC, 86; DV, 10; emphasis added). Could it be that the four cardinals and those of us who have similar questions and concerns are rightly anxious about how well and how clearly the doctrine of the Church is being guarded and expounded? 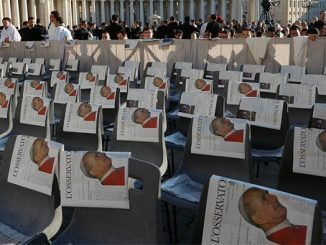 7) Finally, the appeal to the “very great majority of the faithful who are happy with Amoris Laetitia” is curious on several counts. For example, are they? 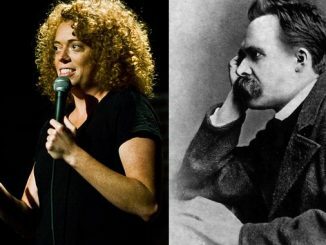 How do we know who is happy or unhappy? Secondly, and more importantly, since when did the truth of Church teaching rely on the happy response of the faithful? How many of the faithful were happy with Humanae Vitae? How many of the faithful understand the issues at stake—the nature of freedom and conscience, or the relationship between grace and truth— when it comes to this ongoing controversy? 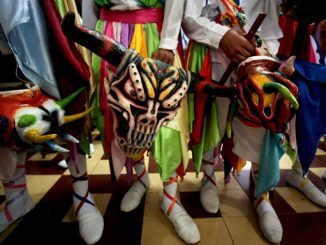 Honduras…no death penalty….is the second most murderous country on earth….at 63 murders per 100,000. Non Christian Japan is 189 times safer than Honduras if one can imagine that….at .31 murders per 100K. This …Honduras and its extreme murder rate……should be such a substantial part of his vocation as that vocation has space for social justice issues that the war violence in Syria should have little space in his conversation. I don’t think he realises how the UN rates his own country….second worst on earth as to murder. Most countries on earth are below 12 per 100K. He should be out on the margins…the periphery….of Honduras pleading with gang members to raise fruits and vegetables instead of transshipping cocaine and extorting bus drivers for a piece of their salary or get shot in the head. Is he in fact retired from actual periphery work….such that he has seemingly too much office time to read hearts or bizarrely comment on whether the Cardinals read AL…the most bizarre expressed suspicion I can remember any Cardinal making of other Cardinals….evah.